Originally published by localnewslab.org and republished here with permission from Local News Lab and the Geraldine R. Dodge Journalism Sustainability Project. The Radiotopia Kickstarter campaign comes to a close today after raising more than $600,000 from nearly 22,000 fans. The success of a campaign like this is a complex alchemy of passion, mission, timing and tenacity. There are a million things you can’t control, good and bad surprises abound. And yet, over the last month the Radiotopia team has run a superb and engaging campaign. Anyone thinking about crowdfunding for their project – regardless of what platform you choose — should study what the team at PRX and Radiotopia did. 1) Sell the values, not the thing. The Radiotopia campaign was never about just supporting some podcasts, it was about “remaking public media.” The Radiotopia team always led with the values and vision they were bringing to the table. This is especially important for mission-driven crowdfunding efforts like journalism and documentary projects, but even with gadgets or other products, crowdfunding tends to be about selling a story not a thing. “It’s not just an amazing group of podcasts, it’s an amazing group of people” writes Roman Mars on the campaign’s homepage. “Radiotopia is bringing a listener-first, creator-driven ethos to public radio.” The team was explicit about tapping into their audience’s values – a love of storytelling and public media – and made it clear how a donation wouldn’t just fund a podcast, it would help you feed your passion. 2) This isn’t just a fundraiser, it is a friend-raiser. Kickstarter campaigns are about raising money. But that’s not all they accomplish. The best campaigns become a locus of attention and activity for a passionate group of people to come together and support a shared vision. The Radiotopia crew understood this, and they made their campaign as much about making friends as it was about making money. Early on in the campaign Roman Mars introduced one of the campaign’s key goals: To reach 20,000 donors. Yes, that goal carried with it a financial challenge from a corporate sponsor, but what was more important for the longterm sustainability of the collective, is that it presented an opportunity to introduce Radiotopia to legions of new people (and to turn current fans into donors, even if only at $1 each). One of the campaign rewards was even a chance to be connected with other fans as pen pals. The best Kickstarter campaigns are not just financial investments, but also investments in relationships between creators and their community. 3) Create unique rewards for different stakeholders. Looking down the right rail of the Radiotopia Kickstarter page is actually a little bit daunting. There are 33 tiers of rewards depending on how much you give and sometime there are multiple, different reward packages for the same amount. For example, at the $300 level you could get a DIY radio handbook and a pair for pro-headphones or a one-hour podcast mentoring session and a one year membership to PRX. The huge number and diversity of rewards was due in part to the fact the Radiotopia is a collection of different shows with their own look, feel and audience. But the Radiotopia team also explicitly designed each tier for different kinds of stakeholders from the lone fan to the potential corporate underwriter. Individuals could donate and get shirts and ringtones. Small teams could donate a larger amount and get a storytelling workshop for their organization. And businesses could donate and get sponsorship and underwriting opportunities. 4) Think beyond the t-shirt: digital rewards, physical rewards, personal rewards. This point is related to, but separate from the one above. There were some mighty cool t-shirts as part of the Radiotopia rewards, but I thought the team was smart to offer an array of digital, physical and personal rewards. Reward fulfillment – mailing out those t-shirts, stickers and posters — is a huge process and cuts into the money you make on a crowdfunding campaign. So come up with clever, fun and engaging digital rewards for the lower tiers – Radiotopia offered ringtones, digital albums and more. Anything under 35–40 bucks should probably be digital to make it worth your while to mail out the rewards. But the Radiotopia team also understood that some fans want more than a coffee mug, they want an experience. Many of the rewards, and the campaign itself, was about making the Radiotopia producers accessible to their community. In the middle tiers Radiotopia offered professional development opportunities, Q&A sessions and chances to be on the air for aspiring podcasters and journalists. At the upper donation levels they offered special events, parties and elite dinners with radio personalities and producers. 5) Build your team from the start. Crowdfunding campaigns are an enormous amount of work. You need a team of people to do it well. Radiotopia benefited from already being a collaboration of a bunch of shows, but also had the team at PRX helping to drive the campaign forward. You may not have the staff, but figure out who your team is and then recruit your fans. Radiotopia benefited of course from a huge fan base for many of its shows, but the work they did to grow and engage that base of support provides lessons for anyone. Throughout the campaign there was an intentional and ongoing recruitment effort to keep people engaged not just as donors but as part of the team. 6) Provide a multitude of ways to contribute and participate. By emphasizing the number of people engaged over the number of dollars raised, the Radiotopia team was able to think creatively about how they ask people to participate in the campaign. Turning fans into donors and donors into evangelists is no small feat but Radiotopia did it well. And the team amplified the best efforts on social media, celebrating not just people who gave but people who helped mobilize others to give. “If you believe in this mission, kick in another buck or two, or just spread the word,” they wrote in one email. “You can make your investment in Radiotopia go further if you let people know you are a backer and encourage your friends to join our campaign,” said another. And throughout the process via Kickstarter’s commenting feature and on social channels the team answered questions, talked shop and encouraged conversation. 7) Let yourself get emotional. The Radiotopia campaign was suffused with emotion and it was contagious. Through the public messaging of the campaign (which often vacillated between carefully orchestrated and free-wheeling) we saw the team celebrate, cringe, worry, laugh, love. They weren’t afraid to talk about how much they cared about this work, but also about the love, trust, and admiration they have for their community. “These shows make you laugh, cry, cringe, remember, reflect, strive, despair, relax… everything” they write on the campaign homepage. Those emotions drew us in. It gave the campaign intimacy and made it feel like we were all good friends. In the end, the crowdfunding campaign itself had a narrative arc and an emotional force not unlike the stories these podcasts are so well known for. 8) The art of the stretch goal: Be visionary, not greedy. Every single time the Radiotopia team announced a new stretch goal I was temped to donate again. That’s remarkable. It is worth remembering of course that Radiotopia itself emerged out of a stretch goal that was established after Roman Mars blew through his initial funding goals for his show 99% Invisible last year. The stretch goals for this campaign focused on the core value of the campaign: “remaking public media.” A lot of these goals emphasized bringing more diversity of voices and stories into public media and podcasting. At $600,000 the team promised to “create a pilot development fund to find new, talented producers and hosts. We will specifically seek out new voices to pilot programs that tackle subjects not well covered in traditional public media.” Again and again Radiotopia presented compelling visions of what we could make possible, in a way that it increased the perceived value of your donation and made you want to give more. For donors, the thing about investing in a crowdfunding campaign is that you are putting money down now in hopes of creating something remarkable in the future. Those running campaigns need to help cultivate a vision of that future, and get people excited about what is to come. It is one thing to layout deliverables hooked to stretch goals as described above. It is another thing entirely to help people buy into a vision of the future and their role in helping create it. 10) Cultivate faith and express gratitude. Over the course of a four to six week campaign you need to develop a deep sense of faith from your supporters. They need to believe in you and to believe you can deliver on your promises. Kickstarter now makes all campaigns discuss the risks and challenges of their project on the project page. However, there are other ways to establish your credibility and engender the trust of your network. For example, Radiotopia has a great story to tell about the growth of its network and the impact of past crowdingfunding campaigns. You need to build faith, but you also need to model humbleness and gratitude. 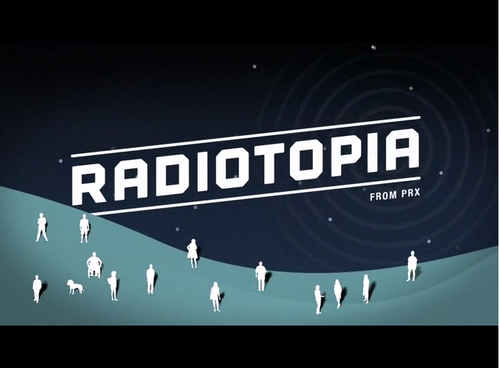 On November 11th, when Radiotopia hit 20,000 donors, Roman Mars wrote, “We did it! Thank you so much for being one of the 20,000 and helping us get the extra $25,000 from Hover. Look what we did together!” Another time, he wrote “Thanks again for being there for us. We’re going to make you proud.” In fact, there was genuine and deep gratitude woven throughout the campaign. There are any number of how-to guides for crowdfunding that can tell you how to edit your pitch video or how many emails to send. What stuck out to me about the Radiotopia campaign was less the technical expertise or tactics they used and more the tone and tenor of the conversation they sparked. The lessons outlined above focus on how they cultivated that feel for the campaign, their focus on community, passion and excellence. In the end, it was less like a pitch and more like a story, told not to us, but with us. 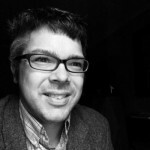 Thanks to Rekha Murthy of PRX for talking me through some of the big ideas that shaped this campaign and to my colleague Molly de Aguiar for feedback on an earlier draft of this post.